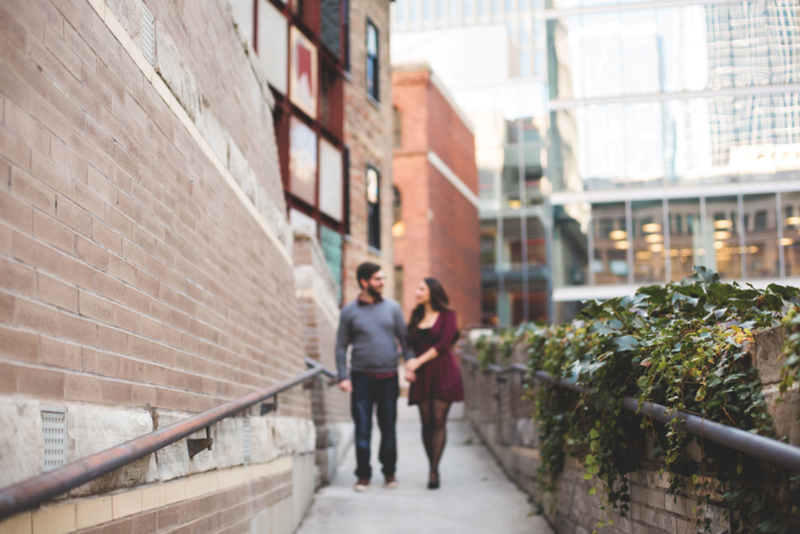 I’m not sure I’ve ever laughed along with clients more than I did with Chantelle + Dusan. Right from the get-go these two had me cracking up at every moment I wasn’t obsessing over how cute they are together. These best friends got engaged at Disneyland (So. Amazing.) and have so many hilarious stories to share from their 8 years together. 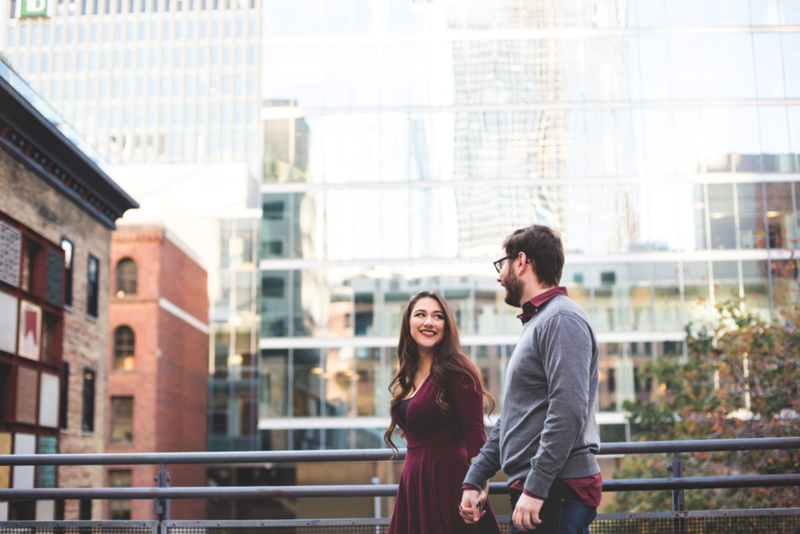 Laughing both with and at one another made their sunrise session almost too much fun as we strolled through downtown Toronto a little while back. Not to mention they killed the wardrobe game, while only suffering a little bit in the cold. Of course, we topped off the session with some coffee where the Barista was 1/3 on the correct spelling. 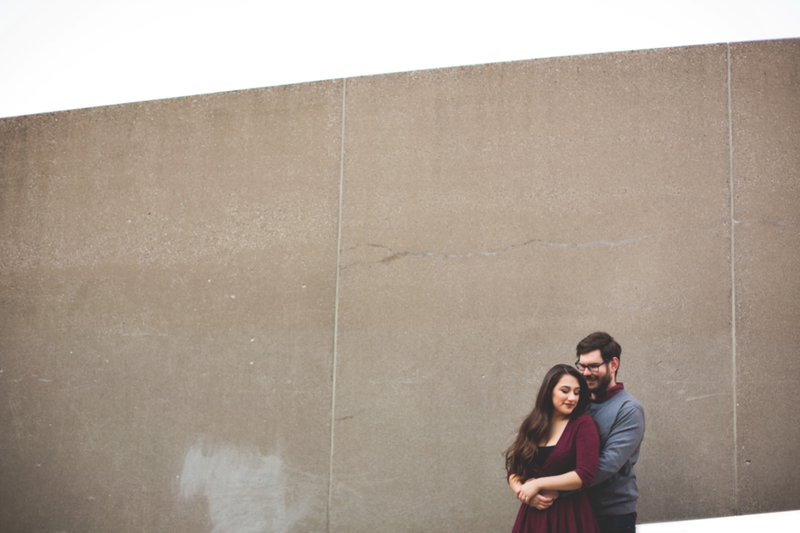 We chatted more over some warm bevvies, and my excitement for their big day next summer only grew. I remember them mentioning what a lot of couples do before their session – they wanted photos where they look natural and of course like they are having fun. I think we may have got a few of those...what do you think?